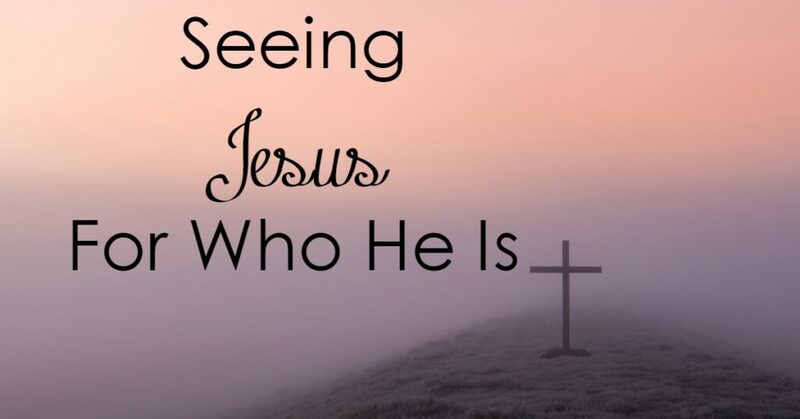 Do you have a moment when you saw Jesus for who He is? A moment that was defining for you? The moment your faith became more than your parents faith, more than Bible stories you had been taught as a child, more than a religion that you had heard of – do you remember the moment that you saw Jesus for who He is – that He is Lord? That moment happened to Peter in Luke 5. It was what seemed like the beginning of an ordinary day – Jesus had started his Public ministry, he had called his disciples- and now, He was preaching to the people. The crowds were getting large, and Jesus so Jesus got into a boat and pushed a little way from the land so that he could effectively teach. The teaching time was over, Jesus told Peter to launch out a little deeper to cast his nets for a catch. This is where we find out what kind of night the fisherman had the night before. He had caught no fish. I am no fisherman (fisherwoman? LOL!) but I know the frustration of working hard and having nothing to show for it. I can only imagine the frustration Peter felt. Even worse, when a Carpenter is telling a fisherman how and where to do his job. At the Word of Jesus – the nets were filled. Filled to the point of breaking. They saw Jesus for who he is. Yet, it is the reaction of Peter that drew my attention. Peter’s response – was worship. He saw himself for who he was a sinful man. When we see Christ for who he truly is – we can’t help but see ourselves for who we truly are. The second thing we see is that Peter called him Lord. This is huge. Calling Jesus Master at the beginning of the passage was normal for a Jewish man – it is what they called teachers of the law. Yet Lord was a name reserved for God. It showed that he saw him as Lord- placing him in the same place as God. He realized that Jesus had done something he could not do. We can not save ourselves no more than we can make fish appear in a net. Only the Lord can make those things happen. Finally, there response was to follow him. They were ready now- ready to leave all they had and follow him. They established him as the authority in their lives by calling him Lord, and by forsaking all else- including their nets! Like them, we need to leave our past and our sin, turn and commit to him. He must be more than Master and Teacher- we must call him Lord. Jesus had called- and the Disciples knew who he was. They left everything and followed Him. What about us? 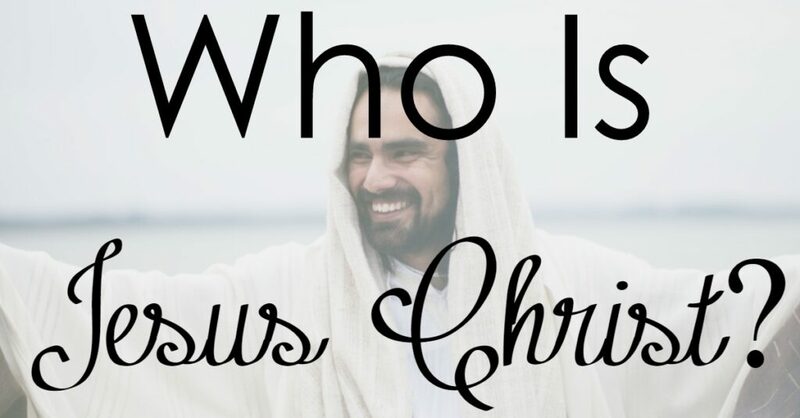 Has Jesus shown us who He is? And if so, are we willing to forsake it all and follow Him? It is an eternal question – with an eternal consequence. Who do you say Jesus is? Looking for more post on the book of Luke? You can find them here! You received your promotion last night, Mandy-with your dear hubby and children, and I think the title of this post is so fitting. Where once we saw through a glass darkly, you are now seeing the Lord with perfect vision in all of His glory! You will be deeply missed Mandy! As a Christian blogger and as a mother I have always enjoyed following you and your blog. You are a beautiful woman of grace! Mandy I have been so blessed by your ministry and your wonderful love for God. Now the Lord has taken you home to be with him. I know you are in the wonderful peace of God’s kingdom. I pray for your wonderful children. You will be missed dearly. Your presence in the blogging family will be forever missed. I’m so grateful to have “known” you. The footprints of your life will impact generations. I’m so so sad about the news… You will always be in my heart. Praying for Bekah and Jared. My heart and prayers go out for her two older children. I am heartbroken for them. My cry has been “why Lord, why?” But this morning, my heart was led to praise God because even in this tragedy, God is good. This truth we have to stand on. So though we don’t understand the “why?”, we can believe God is good, and God will take care of her children on earth. I mourn with so many others at this time. God bless her family and friends. May God hold them up and comfort them especially children and parents. Thank you Many for dedicating time and love to every one of us. I will miss you my sweet sister. I will be praying for your family. When I woke up this morning from this Sandbox part of thr globe it was your beautiful smile I see in my phone and thought that maybe you are not gone to glory. It just made say a prayer for your family at this time of grief. THANK YOU for touching lives and blessing them. I am one of those lives. Though I haven’t got the chance to see you personally, someday beyond the I will. That smile is lighting up Heaven even more today! I am so sad to hear this, but I know God has you and your precious family with him! Thank you for all that you have done to keep God the center for many of us! I will be praying for the kids and the rest of the family for God to give them strength in Jesus Mighty Name! Lord help us to see just how important it is to know we are saved! Sweet Mandy loved You so and wanted others to also know Your love and be secure in Your saving grace. She is in Your presence and has heard You say “well done dear Mandy.” We will talk again for sisters in Christ are eternal friends. On March 21st our Classical Conversations community in Delaware prayed for another “CC” family whose tragedy had just been learned that day. I have prayed for the family since then and only a few days ago made the connection to Mandy’s Worshipful Living Blog and the fact that is her Scripture Writing Challenge that my children and I have so benefited from in the new year as part of our homeschool. March’s Scripture theme of Resurrection seems especially fitting now as I continue my prayers and thoughts for the Kelly family and their friends with a greater sense of connection. I agree wholeheartedly with the above comments about the fitting title of Mandy’s final post. May the Lord, who is now face to face with members of Mandy’s family in heaven, let the light of His face shine through the darkness to the Kelly children sorrowing in this temporal loss and unimaginable grief. May He uphold them with his righteous right hand. I didn’t know who she was until I read this post. My hearty is sad. I can tell b the many comments that she and her family were truly loved. Knowing that along with herself and husband they are saved is awesome. To God be the glory in all things. I pray that her other children will be all right and know that some things we will never understand why. God bless them them continue the kingdom work God has planned for their lives. As you rest in the Father’s arms, please know your ministry touched many lives. Sweet Sweet Mandy, I am so honored to be called your daddy. I miss you, Scott, Lizzie and Judah so much. I know we will have a glorious reunion in Heaven one day. I am so blessed to have had such a wonderful daughter.